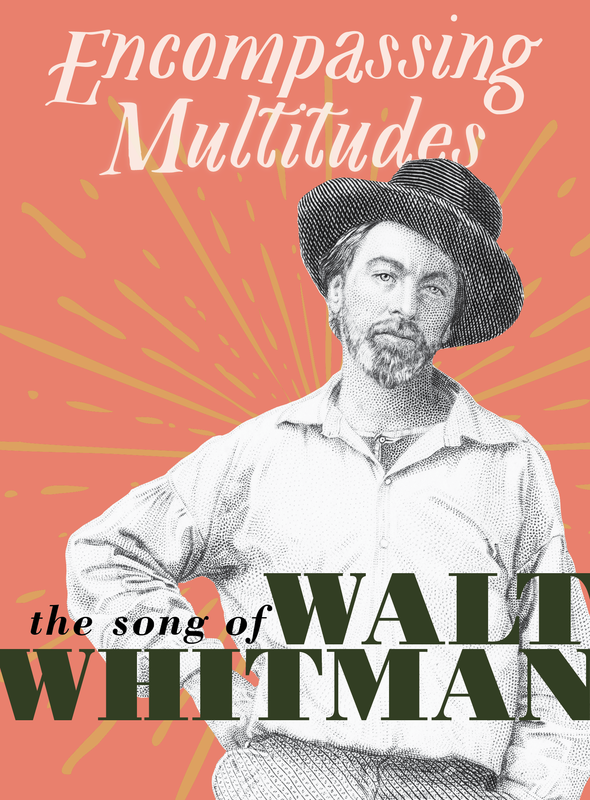 Please join the University of Virginia Library for the opening of the exhibition "Encompassing Multitudes: The Song of Walt Whitman" on Tuesday, March 5, 2019 from 5:00-7:00p.m. in the Main Gallery of the Harrison Institute and Albert and Shirley Small Special Collections Library. The exhibition celebrates the bicentennial of the birth of Walt Whitman and pays tribute to the incalculable cultural influence of the great American poet through display of first printings of his immortal work, Leaves of Grass, early drafts of his poems in manuscript, personal correspondence, memorabilia, and photographs. Join chief exhibition curator George Riser for brief, twenty-minute tours of the exhibition at 4:00 or 4:30p.m. At 5:00p.m. in the Harrison/Small Auditorium, University Librarian and Dean of Libraries John Unsworth will welcome a panel of Whitman scholars, including Deborah McDowell (Director of the Carter G. Woodson Institute & Alice Griffin Professor of English), and exhibition co-curators Steve Cushman (Robert C. Taylor Professor of English) and Lisa Russ Spaar (Professor of English and Director of Creative Writing) for readings and remarks. A light reception will follow with additional time to view the exhibition and speak with its curators. This event is free and open to the public (no registration required; space is limited).